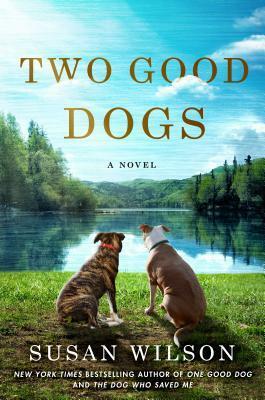 With more than a dozen books under her belt, Jane Heller has gained a steady following of chick lit fans around the world. If you love fun and frothy “girl in the city” novels filled with quirky protagonists, rollicking misadventures, romance and humor, give one of her books a test drive. Since I’m no stranger to sibling rivalry, I’m especially intrigued by “Sis Boom Bah,” a saucy little whodunit filled with romance, murder and sisterly bonding. Stay tuned for the review! 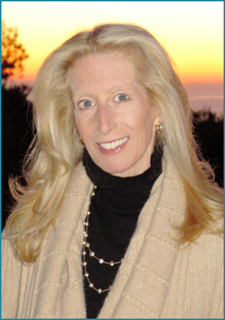 Please join me in welcoming Jane Heller to Chick Lit Café. She was kind enough to take the time to answer my questions about her obsession with the Yankees, pending Hollywood productions, and her upcoming nonfiction memoir “You’d Better Not Die or I’ll Kill You: A Caregiver’s Survival Guide to Keeping You in Good Health and Spirits” (November 2012). No matter how crazy the situations or characters, readers can relate to them. How do you approach writing your characters? I try to put myself in the character’s shoes and imagine what I would do in that situation. And then I layer onto that: What would this particular character do in that situation? So while the situations may involve elements of fantasy (“Infernal Affairs,” “The Secret Ingredient”) or family rivalries (“Sis Boom Bah,” “Lucky Stars”) or even murder (“Name Dropping,” “Clean Sweep,” “The Club”), which I’ve never dealt with, thank God, the tone is grounded in reality because the character comes from my own perspective, my own voice. Friends say that reading the novels is like talking to me on the phone! 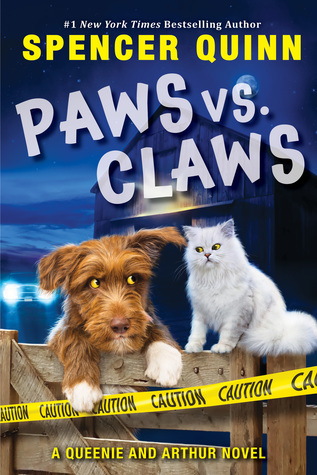 If any of your books could be adapted into a movie, which one would you choose? I’d choose all of them! Actually, I’ve had nine of the books optioned for film and television and each time we make a deal, I say to my husband, “This is it. It’s finally happening.” And then the movie doesn’t get produced. One of the novels, “An Ex to Grind,” is in active development now at Fox with Cameron Diaz and Benecio Del Toro attached to play Melanie and Dan, the two main characters. The studio hired the screenwriter of “The Break-Up” and “The Hangover” to write the script and he did a few drafts. But now they’re looking for another writer, which is typical of the development process. I thought we were very close to having a movie of “Lucky Stars.” It’s a mother-daughter comedy and the option was renewed several times, but then nothing. And when Julia Roberts optioned “Sis Boom Bah” for her production company, I was sure I’d be walking the red carpet. Haha. Didn’t happen. I live in hope. 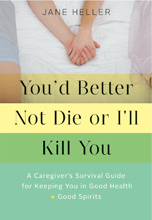 How did writing “You’d Better Not Die or I’ll Kill You” help you cope with your husband’s illness? Writing the book isn’t so much about helping me cope as much as it is trying to help others cope if they’re caring for a child, spouse or parent with a chronic or critical illness. My husband Michael has been sick, on and off, for the 20 years of our marriage and it hasn’t always been easy. I want the book to be the cheerful, upbeat companion I wish I’d had during those 20 years. So many of the 65 million caregivers in this country are women and I’ve been talking to women through my novels for a long time. I thought this book would be an extension of that conversation. I will always have the goal in my books, fiction or nonfiction, to lift people up with a laugh or a smile. Life is tough. If we can’t laugh, no matter how grim the situation, we’re in trouble. Why is humor an important tool for you? 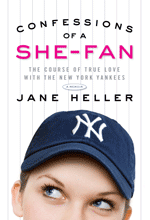 Let’s talk about “Confessions of a She-Fan.” Was it a risk to write a chick lit novel centered around baseball? And would you recommend this book to girly girls like me who aren’t into sports? “Confessions of a She-Fan” isn’t a novel – it’s nonfiction – but I hope it reads like chick lit. That was my intention. I wanted to write about a female who happens to love a baseball team almost as much as she loves her husband. It evolved from a piece I wrote in the New York Times in which I announced (as a joke) that I was suing the Yankees for divorce on the grounds of mental cruelty because they were playing so poorly. That piece became the #1 emailed story in the Times the week it ran. I think it struck a chord because it cast a love for a sports team as a romantic love and people identified with that. Would you like it if you’re not into sports? Probably not. But I hope you’ll recommend it to girly girls like me who are into sports! What’s the best piece of advice you could give an aspiring novelist? To just sit down and write. I know that sounds sappy and cliché-ish, but it’s true. So many aspiring novelists tell me they want to write but don’t know what to do to get an agent or publisher. I tell them to forget about what will happen after they write. Don’t project into the future. Stay in the moment. Sit down and start with a sentence, then another. Then try a page, then a whole chapter. Before you know it, you’ll have 300 pages and you’ll feel a sense of accomplishment. Some aspiring novelists say they don’t have time to write. To them I tell the story of a woman with whom I was on a panel a few years ago. She’d written her first novel and it was getting great reviews. 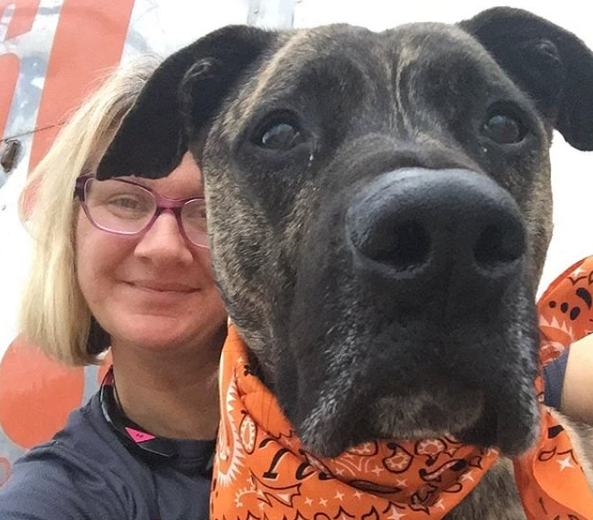 She was a single mother of 10 kids, following the very sudden death of her husband, plus she had a full-time job at a newspaper. If she could find time to write a novel, so can anybody. You are a prolific writer! How do you keep the momentum going? My problem isn’t coming up with ideas for novels. It’s which idea to settle on for the long haul. Too often I start a book, only to realize the story is fizzling because it doesn’t have enough energy propelling it forward. 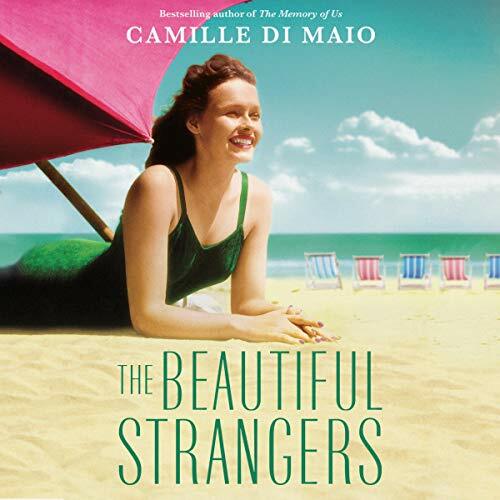 So I try to pick what-if scenarios that interest me and that I’m sure others will relate to – from sibling rivalry to losing all your money to feeling stuck in a sinking romantic relationship. I’m also a voracious reader of magazines and blogs to get a sense of what women are talking about. And I listen to what my friends are talking about. Are they having issues with their husbands? Their kids? What’s on their minds? I zero in on a situation that feels right to me and off I go. Can you give us a sneak peek into what you’re working on now? I’m working on a novel about a woman who has lost her job and her man and is trying everything to stay afloat – I mean everything. She finally lands a new job, only it turns out to be anything but what she expected. I can’t say any more, but I hope it’ll go smoothly so we can talk about it next time! Want to know more about this talented author? Go here to peruse her books and visit her blog. 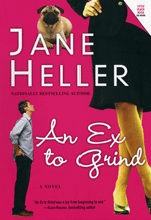 Posted on September 22, 2012 by Bubble Bubble Books and Trouble •	This entry was posted in Author Interviews and tagged an ex to grind, Author interview, chick lit, chick lit author, confessions of a she fan, Jane Heller, sis boom bah. Bookmark the permalink. This was a great interview. I especially appreciated hearing about the single mother of ten who still made the time to write, and I could relate to Jane’s difficulty in settling on an idea. I came away with both an interest in reading Jane’s work as well as inspiration for writing my own next novel! Congratulations to Ms. Heller on a fantastic writing career. I look forward to getting to know her through her blog and books! Thanks Tracy! This is a good reminder that there’s no excuse not to write! I have a lot of respect for those busy working moms who find the time to write a book. It takes a lot of self-discipline and dedication, that’s for sure!